Tonight was The Night of Writing Dangerously, and it was super fantastic! First, I have two pics! 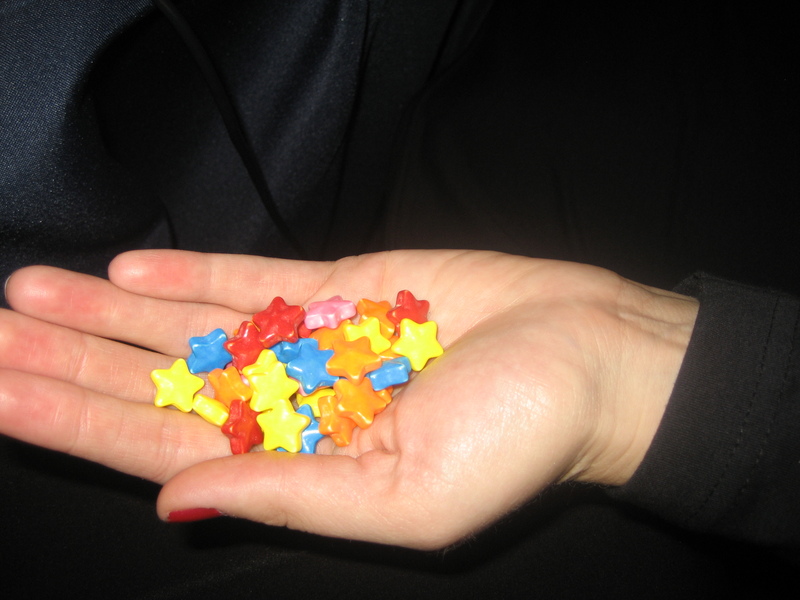 And number two: I was utterly charmed by these adorable star candies! Did anybody else think Spirited Away and the soot monsters when you saw this? I actually asked the photographer to take a picture of them, and he said he caught some great shots of the candies falling from the scoop into the bowl. He’ll email them to me later. I can’t wait. How utterly delightful, m’dear! This makes me ever so happy. 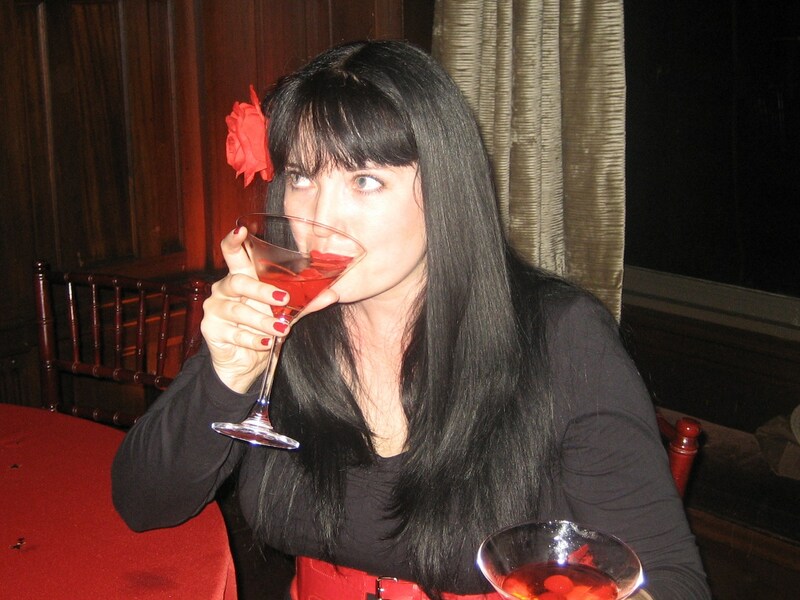 Shirley Temples RULE! We used to go to Cape Code Cafe when I was younger, and we’d also get a pitcher with extra cherries. Mmmm. Always, not also. Where is the edit feature? Jeez! I think Rainbow Brite when I see them, but I’m nostalgic that way. Sounds like you had a great time. I wish we’d had something like that over here. The star candies are adorable. How do they taste?